Annapolis Comic-Con | Annapolis, MD, October 27, 2012 another home town show. I can't get enough of the local shows. It's really great to hang out and talk shop with my peeps from around the way. Speaking of cons (u gotta love that segway right?!) the Baltimore con was totally off the hook. Me and the crew had the best show we have ever had. Huge thank you to everyone who stopped by to pick up a comic, print, or commission. You guys all rock. I also got to hang out at the BOOM! 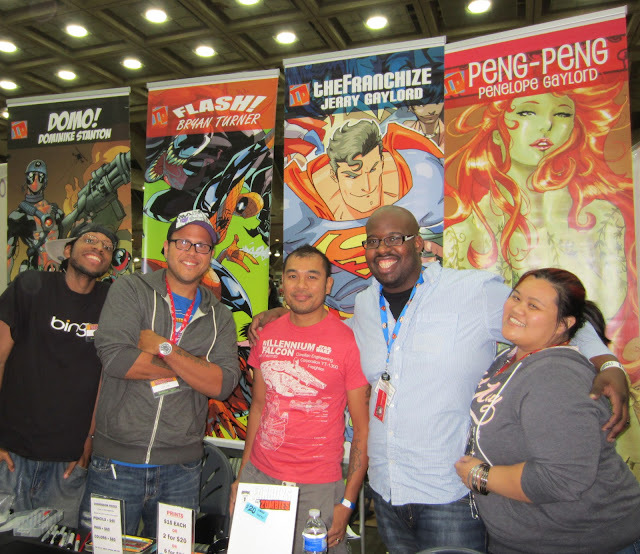 Studios booth and meet Ross Richie for the first time and sign some con exclusive versions of FANBOYS VS ZOMBIES #1. All the while Pennie, Flash and I battled to get the latest issue of FVZ out on time. It was a battle of epic proportions, but we made it and I think this issue tops em all so far. Flash and I actually split up the art chores this issue and he rocked out some classic stuff. prepare to get your shoes knocked off. And last but not least the love of my life (PENG) got me some brand new kicks fresh from Krypton to keep me extra fly at this years remaining cons. Yup, I'm a lucky guy. 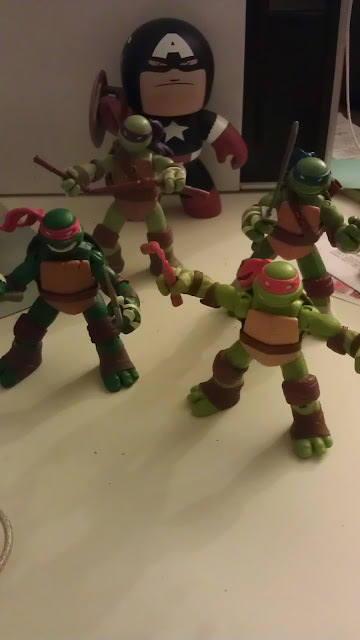 She also found it in her heart to indulge my love of TMNT and got me a set of the figures based on the new animated series. They are lean green fighting machines! 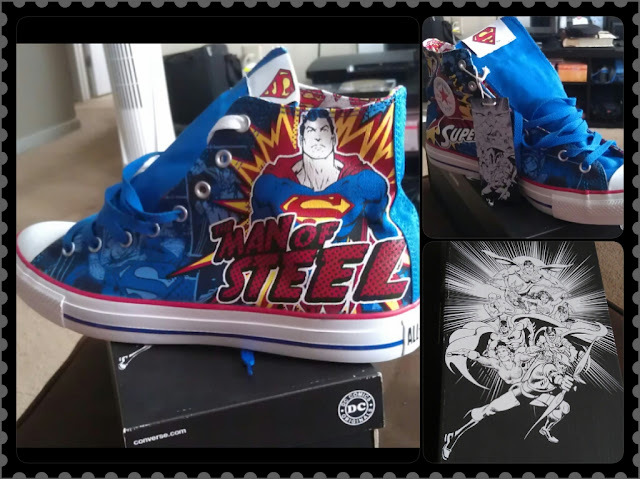 Yes, I know I'm a nerd. Thanks for tuning in folks. More art and news to come!